The XCapture-1 from Micomsoft is a USB3 device that captures audio and video signals from just about any source, including composite video, S-Video, RGB, VGA, HDMI, and component video. 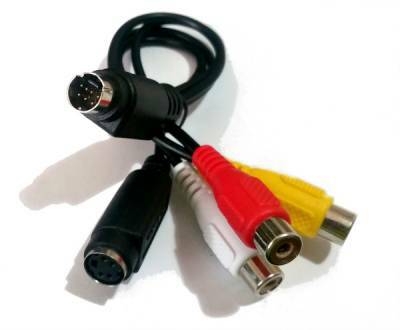 The Video and S-Video inputs are provided via a dangly dongle, with a MiniDIN-7 on one end and female sockets on the other (Audio Left and Right, Video, S-Video). Note that there are at least two kinds of MiniDIN-7 connectors with different pin arrangements.